Picture New York City + over a thousand teachers under the same roof. Crazy right! Having the opportunity to attend Teacher’s College Writing Institute at the beginning of August was just unbelievable. Every time I get to attend TCRWP I feel beyond blessed – blessed to learn from so many talented professionals as well as making connections with other incredible educators. One of the sessions I attended focused on the ins and outs of Small Group Instruction. Here I am sharing 5 great tips I learned. I hope that you find them as helpful as I did. 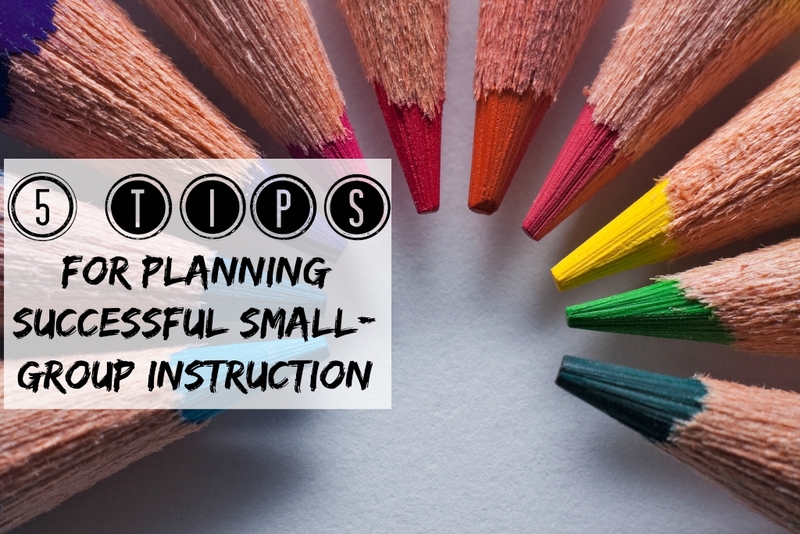 1) Forget about small group instruction until you have management under control – this includes students writing independently and long without your help. If children need to ask for your permission to grab a piece of paper or sharpen their pencils, you will be interrupted non-stop. Let them take responsibility of their materials and coach them into becoming independent writers. 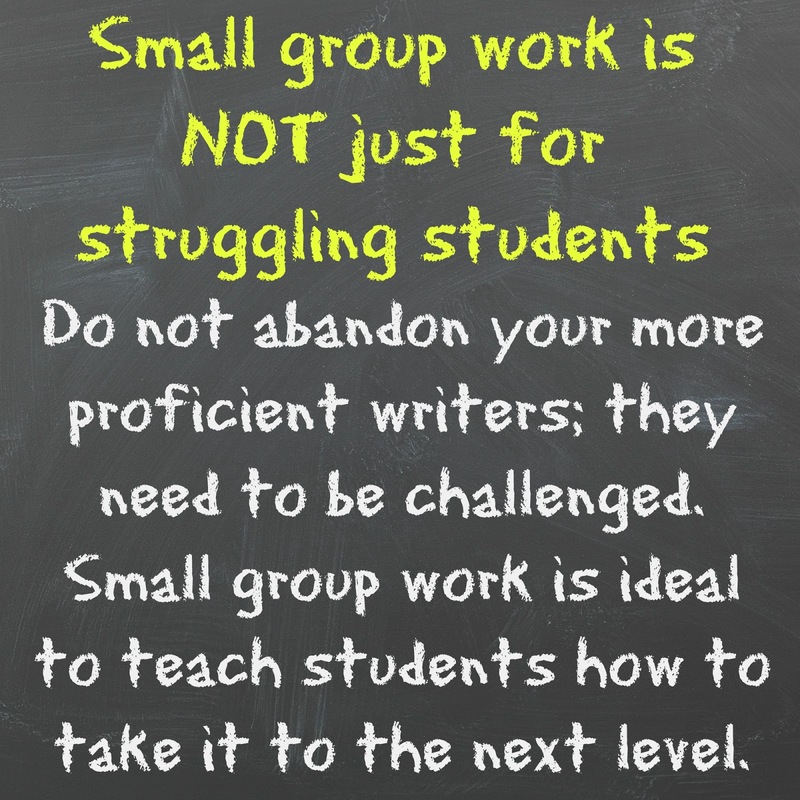 I personally do not start small-group instruction until partnerships have been assigned (partnerships? that is another blog post on its own). 2) If you feel the need to punch me in the face for mentioning the word assessment, please go ahead – I feel the same way. 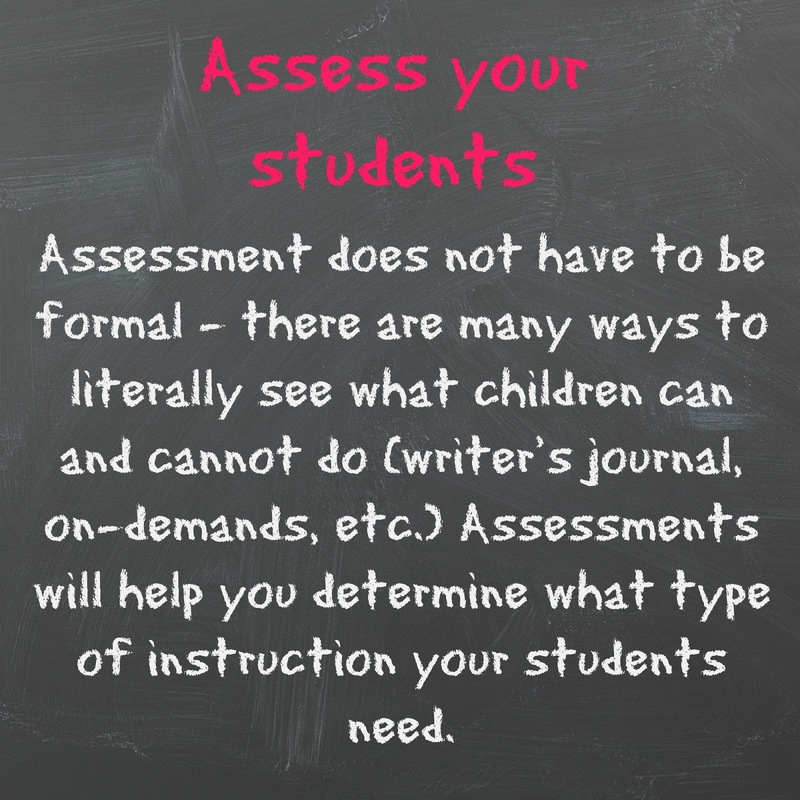 However, when was the last time you: a) LOOKED carefully at a writing piece to determine what a student can and cannot do and b) Designed instruction to target the needs of that and many other students in your class. Yes, that type of assessment. Not the one that is filed and never – EVER looked at again. There are many places you can look at and ‘see’ what your students can/cannot do (partner conversations, students surveys, checklists) and plan from there. 3) There is NO NEED to reinvent the wheel and start looking everywhere for other lessons. 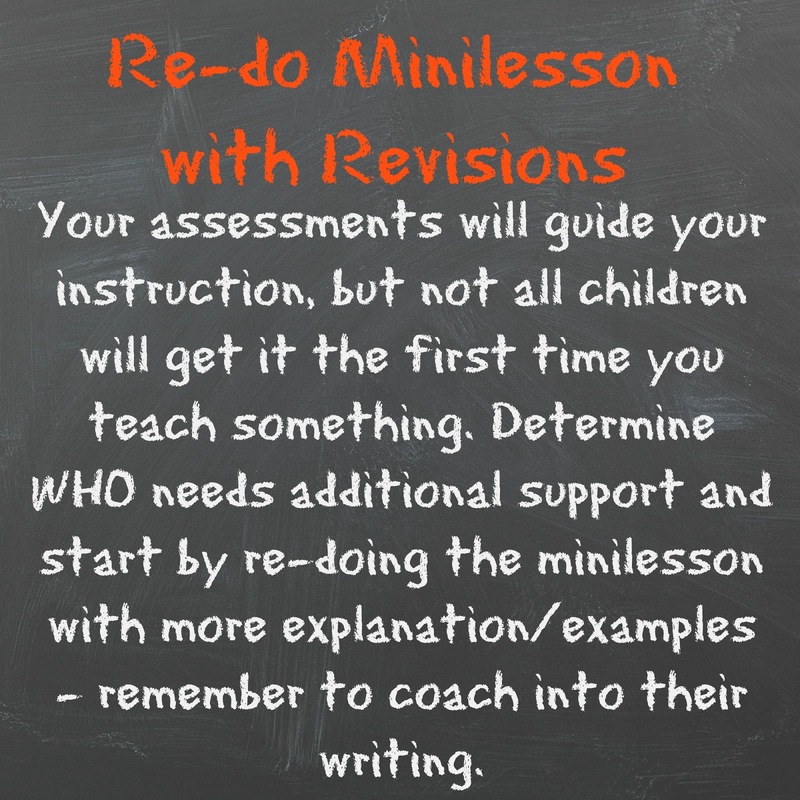 Take a closer look at your mini-lesson and your students. Are there any students who struggle with the concept you just presented? Have your informal observations given you a good picture of who needs extra support? Once you determine who needs support, you can move into the how. Take what you used in your mini-lesson and explain it in more detail/give an example. Here is a photo of my teacher toolkit (a collection of skills with samples that have been broken down). Take the time to prepare a toolkit and you will see yourself using it over and over again. Continue assessing as you work with your small group – are there students who no longer need to be part of the sessions of small-group instruction? Are there other students who need help? (They may join the group). 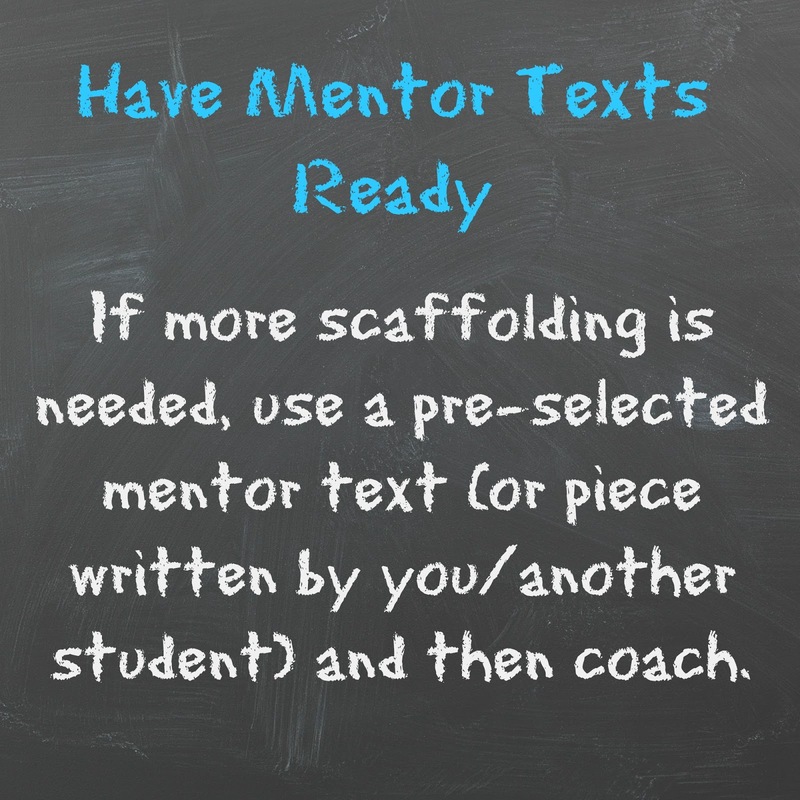 4) Mentor texts are at the core of my teaching. Whether I am teaching in English o español, mentor texts are right there with me. I usually type the text (given they are not very long), print it and give it to my students for them to have inside their writer’s folders. We revisit these texts over and over. During small group instruction, I take the time to dive even deeper and why not even introduce another short text. The key is to have the text ready WITH YOU (not in your car, your office, purse, etc). Having a text ready also means marked – what are the parts you want to show? Sticky notes anyone? 5) This IS my goal this year – not only to work with my most struggling writers but also work with those who are ready to take their writing to the next level. How many times have I just forgotten about those who can decently write? Many. This is not something I am proud of…as teachers we are often drawn to those who needs us so desperately (or so we think) leaving those who can decently manage aside. Use small-group time to challenge those who are ready for it. There you have it, 5 bits of information I hope you find them helpful. 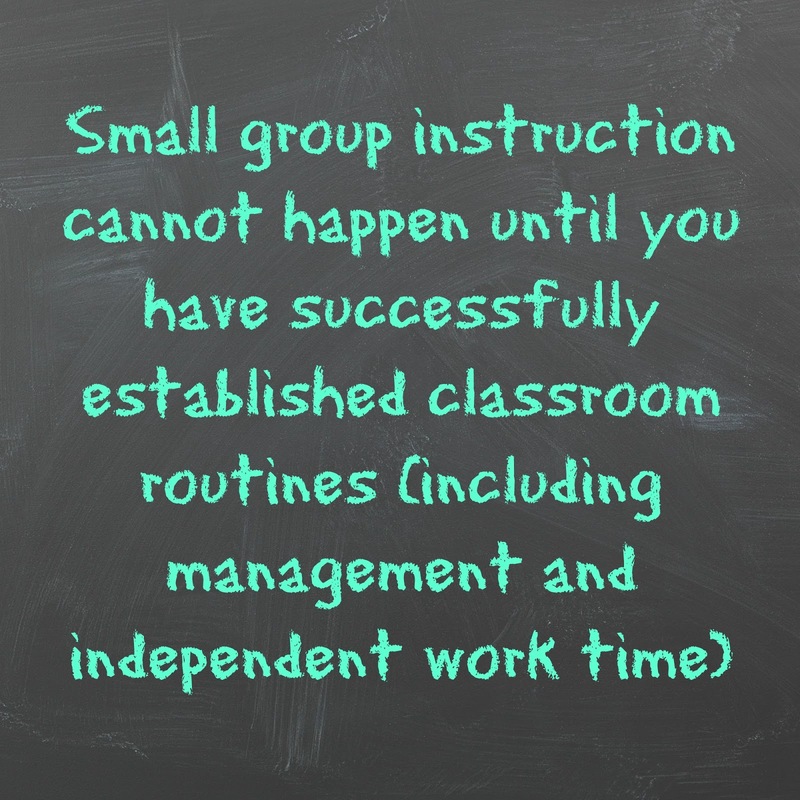 And as always, I am looking for ways other teachers manage/conduct small-group instruction. Feel free to share in the comments below.